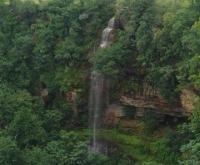 YORK HOUSE Guided walks offered to both Shongweni Reserve and Kranzkloof Gorge. Two of the best bushveld & forest birding spots around Durban. Crowned Eagle, Trumpeter Hornbill, Narina Trogon, Yellow throated Woodland Warbler, Grey cuckoo-shrike, Grey waxbill, Blue Mantled Flycatcher, Olive Woodpecker, White-starred Robin and many more. We are situated 1km from the centre of Hillcrest Town and 15 Minutes drive to both birding spots. We have 4 x double rooms and one self catering, open plan flat with 4 x single beds available and can sleep a total of 12 persons. 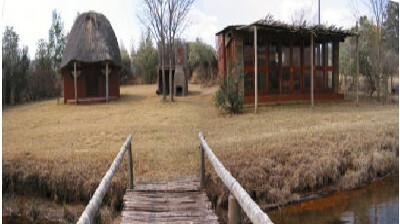 See York House website www.yorkhousebnb.co.za for birds recorded and more info on accommodation rates, etc. 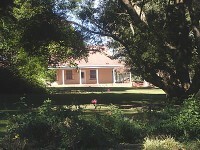 FOUNTAIN HILL GUEST LODGE, a great country retreat, is situated 2kms outside Wartburg, on our beautiful family-run farm. Wild animals roam free here, even outside our guest lodge, and the farm is a paradise for over 230 bird species. Hundreds of yellow-billed Kites converge on our farm every March, and every December the Storks arrive to join the Blue Cranes in the pastures. Here you will also find Grey Crowned Crane, African Fish Eagle, Steppe Buzzard, Martial Eagle, Lanner Falcon, various Owls etc. Self-catering Accommodation: The Homestead, a luxury house, surrounded by farm pastures, sleeps up to 7 people. Georgenau Cottage, a luxury cottage with game viewing all day from the patio, sleeps up to 4 people. The Guest Lodge offers B&B accommodation in two family Suites, which sleep up to 9 people, and two luxury suites, which sleep up to 4 people. Fountainhill is also noted for its great Bass Fishing in a choice of 3 dams, and our scenic game drives all the way down to the Umgeni River in our private Hlambamasoka Game reserve. MOUNTAIN RETREAT is located on Ekuthuleni Farm and consists of a traditional Zulu hut with its own ensuite together with a separate kitchen and lounge with open fireplace. Self-catering facilities are provided including all crockery, cutlery and cooking utensils. Over the last ten years the Dam has been maintained as a bird sanctuary and now provides a stunningly beautiful home to many hundreds, if not thousands of birds. The Dam itself is stocked with fish and a rowing boat is provided for bird watching and fishing. For those wishing to hike in the mountains, a short walk will find you at the entrance to Culfargie National Park and a trail that leads up to Jacobs Ladder. Tel: (036) 4681422 or Central Drakensberg Information Centre on (036) 4881207. PROTEA HOTEL RICHARD'S BAY, set in the beautiful suburb of Meerensee, this unique and inviting retreat is just two hours north of Durban situated in the diverse city of uMhlathuze, Zululand. The Protea Hotel, Richards Bay boasts 66 comfortable and beautifully decorated rooms, including 5 suites with all the comforts and facilities of a top class hotel. 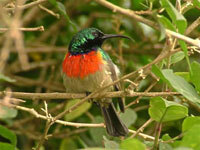 We are ideally situated for birders wishing to enjoy the attractions of Zululands and Richard bays top birding areas. 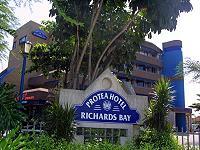 Tel: (035) 753 1350 or res@proteahotelrichardsbay.co.za. HILLSIDE LODGE This delightful 19th Century Farm House, situated adjacent to 800 hectares of indigenous forest, offers spacious yet cosy accommodation. The Lodge is the perfect location for friends or family to enjoy a peaceful retreat or a fun-filled break - any time of year. Activities in the area include bird-watching, hiking through the Marutswa indigenous forest, paragliding or hang-gliding, mountain biking. Features include: 4 large bedrooms (sleeps 8), 3 bathrooms, large lounge with fireplace and firewood, linens and towels, serviced daily. Catering: Ken, your Host, having trained at Ballymaloe Cookery School in Ireland, will be your personal Chef in the lodge should you wish to enjoy a catered break. Alternatively self catering or partial catering is available to you. Against the magnificent backdrop of the Drakensberg mountains, overlooking the secluded Mfazimnyama Valley of the Spioenkop Game Reserve and in the lee of the famous hill, Spioenkop, lies the Eco-friendly (Green Leaf Environmental Award) Three Tree Hill lodge (aka Three Trees at Spioenkop). Spectacular scenery, locally grown farm-style country food, exquisite linen and superb hosts make our lodge the ideal environment in which to escape and unwind. This intimate luxury 16 bedded lodge is owner-managed by Simon & Cheryl Blackburn whose passion for Africa fills every corner. 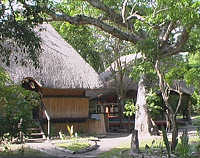 You are welcomed into their home, and invited to experience the warm hospitality in their family run lodge. 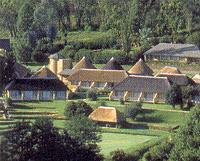 The lodge is situated on 1,200ha of naturally rolling Drakensberg foothills. Both Simon & Cheryl are FGASA qualified Field Guides and have a wealth of knowledge on the Natural Fauna & Flora in the area. Joined by the dogs, and walking alongside the game reserve, a walk out in the hills is not to be missed. Well-marked trails are also available if you want to meander along in your own steam. A bird list of 270 species has been recorded in the area, with Cape Vultures, Lanner Falcons, Buff Streaked Chats & Fairy Flycatchers all residing here. In the winter months (when the aloes are flowering) most mountain-dwelling birds descend to the foothills to take advantage of the sweet nectar & insects that adorn these spectacular plants. The Malachite sunbird is a stunning example of this. In the summer months, Northern migrants arrive to fill the air with calls & twittering that will keep any �twitcher� on his toes. Anglo Boer War Battlefield Tours, horse trails, hiking, nature walks, (NEW!) Expertly guided bush walks (tracking white rhino), Drakensberg mountain hiking, birding & mountain biking are some of the activities on offer. EZULWINI GAME LODGE offers a relaxed and tranquil atmosphere to calm down from the hustle of everyday life. Nestled amongst towering trees, in a private game park, the comfortable accommodation is a perfect base to explore the area. The lodge has long been a favourite holiday destination amongst hikers, whether you are staying in one of the 19 bedrooms - adjacent to each other, or in one of the 4 self-catering cottages, family log cabin or tree house, situated separately for those who prefer more privacy. Well over 460 bird species have been identified in 11 major habitats, with one third of the species being waterside birds. This is over 80% of the total number of bird species found in the whole of the province. The area also has 29 Red Data listed birds (birds facing possible extinction) and sightings of some of the rarer birds that are endemic to the area such as the Neergaards sunbird are fairly common.